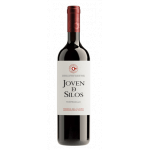 The 2012 Cillar de Silos Crianza Tempranillo Ribera del Duero ($452.28) is a red wine made by Cillar de Silos from the region of Ribera del Duero based on tempranillo of 2012 and has an alcoholic content of 14%. Uvinum users rate this red wine with 4 out of 5 points. - View: Cherry color with violet reflections. 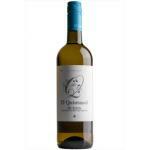 - Nose: Aromas of black and red fruit, good acidity, tones of nuts, spices and herbs. - Mouth: fleshy body, full, robust, refreshing, structured. It has good acidity and ripe tannins. long, elegant finish. AGEING: 13 months in French oak barrels. PREPARATION: The grapes are harvested in small wooden boxes, before being taken to the cellars be pressed to obtain the must. Then, it proceeds to a process of maceration at controlled temperatures for several days. Following this, the wine is fermented on the lees, with the addition of natural yeasts. Finally, the wine is mixed, filtered and deposited in French oak barrels, where they will be aged for 13 months. PAIRING: Red meats, roasts, white pasta, risotto, cream of mushroom, aged cheeses. Chocolate aromas. It tasted like wood. A Cillar de Silos at its optimal time to drink. If you want to buy 2012 Cillar de Silos Crianza Tempranillo Ribera del Duero, at Uvinum you will find the best prices for Ribera del Duero red wine. Buy it at Uvinum at the best price, comfortable, quick and safe. We have more than 59.000 products for sale which turns us into the leading marketplace in selling wine, beer, and spirits in Europe with over 38.000 clients trusting us.